As the neck goes, so go the shoulders—an unfortunate reality, but one I see with many people coming into my Los Angeles, Beverly Hills and West Hollywood sports chiropractic office every day. The intimate nature of the neck and shoulders has to do with their muscular and skeletal connections, which we will discuss here. But more importantly, I will lay out a potential game plan for you to follow to receive neck and shoulder pain relief, and show you what you can do on your own to help the process along. The neck and shoulder are connected skeletally through the cervical spine, the collarbone (clavicle), and the shoulder blade (scapula). It’s worthwhile to familiarize yourself with the anatomical terminology, so I will from this point forward refer to the true anatomical names. Muscularly, the neck and shoulders have several important connectors, primarily the trapezius, levator scapulae, scalene and sternocleidomastoid (SCM) muscles. Because the collarbones attach in the midline to the sternum (breast bone), the chest muscles (pectorals) are of mega importance when it comes to the neck and shoulders. Knowing these structures will allow you to understand a few basic principles when it comes to relieving neck and shoulder pain—you’ll be able to figure out what to stretch and what to strengthen to both relieve current and prevent future neck and shoulder problems. 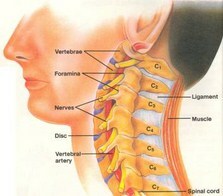 Different structures can cause different kinds of neck and shoulder pain. I will list them here and discuss some treatment and self-care options for each. The first cause of chronic neck and shoulder pain/discomfort is subluxations of the cervical and thoracic spine. The cervical spine (neck region) not only sends nerves to the shoulders and arms, but the free movement of the neck is necessary for proper shoulder biomechanics; in other words, if the neck isn’t moving properly, the shoulders will also be hampered in their movements. Those of you who are regular readers will recall that one major component of the subluxation is “stuckness.” Subluxations prevent the free movement of the spinal bones. If the subluxation is in the upper cervical spine, then it can hamper turning the head. Have you ever experienced excruciating pain while trying to turn your head? You probably had an atlas (C1) subluxation. If the subluxation is at the axis (C2), you will likely have pain tilting your head back into extension; and if in the lower cervical spine (C5-C7), you will probably experience difficulty and pain bring your chin down to your chest in flexion. All subluxations need the assistance of a chiropractor. Chiropractic is the only healing art that specifically addresses the subluxation. I have heard stories of yoga instructors, physical therapists, midwives and other non-trained professionals administering an attempted subluxation-relieving adjustment. I would strongly advise against it. The neck is a vulnerable area—see a trained professional. Chiropractic care should be provided by a chiropractor. Be smart, call a chiropractor if you are experiencing any of the neck pain symptoms or lack of movement I have described above. Because the spinal nerves exit the spine at the vertebral foramen, subluxations can cause nerve irritation. When nerve tissue gets irritated, it can cause direct nerve pain or radiculitis. This horrible syndrome is characterized by sharp, electrical, burning pain down to the shoulder or arm. 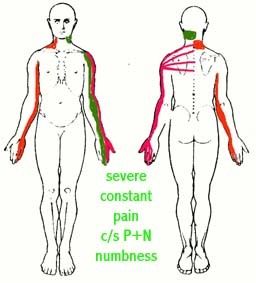 Numbness and tingling is also often felt in the hands and fingers—the location depending on the vertebral nerve in question. In the extreme version of this condition is when a subluxation has been around long enough to cause bulging of the associated disc. Bulging discs are a type of herniation, and they can be terribly painful. Aside from the localized pain caused by the inflamed disc itself, the associated nerve can also become irritated or impinged, which then can lead to radicular pain. People with herniated discs, then, have unrelenting pain at the spine itself—in fact, just touching the affected area can make the sufferer wince. But they may also have a burning sensation at the shoulder and upper arm area, and numbness and/or tingling in the hand. The pain may keep the sufferer up at night; it may even wake them throughout the night. The pain may get worse over time, and if left untreated, the sufferer may start to have difficulty holding on to objects, like cups, glasses or tools. This is a serious condition. If you are experiencing any type of radicular symptoms, you need to see a chiropractor right away. Nerve damage is possible if left alone for too long, and you’ll need a neurologist instead. Save yourself the anguish—call a chiropractor who can adjust your subluxated neck and provide the palliative care necessary to help you heal from this debilitating syndrome. One thing you will want to do on your own is ice your neck at the point of pain. Icing is a science: 15 minutes at a time (no more, no less), several times per day (try 3 minimum), and never put it directly on the skin (use a paper towel). Here is a video that will outline the principles of icing—watch it. Neck and shoulder pain can also be caused by short, tight, spasmed, and fatigued muscles. Interestingly, these situations often accompany subluxations, so as a chiropractic doctor, I always look for both spinal and muscular components to a neck and shoulder problem; but it is not a hard, fast rule. Sometimes, people that have been seeing a chiropractor for awhile still experience neck and shoulder problems despite getting adjusted. The reason is very likely that the muscular component is not being addressed. One word of caution: this does not mean a simple massage will suffice. Muscular issues are more complex than a simple rub might fix; it could be a flexibility issue, a strength issue or a muscular imbalance—it may even be postural. The best bet is getting evaluated by a chiropractor that does this work. As I have pointed out already, several muscles are important in neck and shoulder biomechanics, and could be the reason you are suffering from neck and shoulder pain. The first and most common muscular malady that is responsible is tight, shortened upper trapezius and levator scapulae muscles. 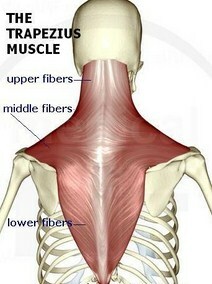 The trapezius (traps) is a large diamond-shaped muscle that originates in the neck and attaches to the upper shoulders and lower shoulder blades. Although it is one muscle, we separate it into parts—upper, middle, and lower—based on the actions it performs. 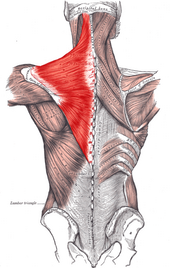 The upper traps are shoulder shruggers; so are the levator scapulae—they both elevate the scapula. Most people are upper-trap heavy. This means that their upper traps and levator scapulae are over-active and/or over-developed. You can check yourself by looking into the mirror. If you have slightly elevated, or shrugged shoulders, you are upper-trap heavy. When the upper traps or levator scapulae are over-active, they can lead to trigger points (small bands of chronically contracted muscles causing localized and referred pain) and spasm. Muscle spasms cannot simply be massaged out—they need to actually be de-contracted. This requires a special technique performed by some sports chiropractors called post-isometric relaxation (PIR). PIR relaxes contracted muscles in a way that massage cannot, by affecting the myofibril physiology—that’s a fancy way of saying, “Your massage therapist can’t do it,” unless, of course, he or she knows PIR. The gist here is not to knock a very valuable and necessary healing art, but to emphasize that one size does not fit all when it comes to muscular issues. Spasmodic torticollis is a horribly painful condition caused by a combination of neck and upper back subluxations and associated muscle spasms and trigger points. The most common symptom of this neck pain malady is excruciating pain on turning the head in either direction. Depending on the spinal level of subluxation, bending the head forward (flexion) or backward (extension) can also cause severe neck pain. Because the spasms and trigger points of torticollis are most often in the upper and middle trapezius, as well as the levator scapulae, pain can be felt between the shoulder blades and the top of the shoulder itself, especially where the neck and shoulder meet. The ultimate answer for this problem is three-fold: One, heat must be applied to reduce the muscle spasms. People suffering from torticollis feel immediately better by applying moist heat (hydrocollator, jacuzzi, hot water bottle, hot shower) to the upper back region. Unfortunately, the relief will not be long-lived. Two, the spasms must be worked out manually. Massage works fine here. The sufferer of torticollis will feel like the massage is hitting the right areas, because it is; but also unfortunately, the pain will not be relieved completely, because one important part is missing…yup, you got it—the spine needs adjusting. Three, the associated subluxations need to be corrected. 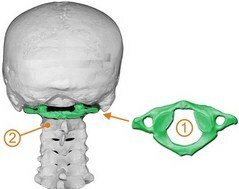 This is the part usually missing in the treatment of torticollis. That is why clients coming into my Los Angeles, Beverly Hills, and West Hollywood chiropractic clinic with spasmodic torticollis very often have been suffering for longer than one week. They have run the gamut in seeking a solution for this painful neck malady. Without the chiropractic adjustment (video below), spasmodic torticollis will not go away on its own. It will make all activities difficult—from driving, to computer work, to sleeping—spasmodic torticollis just makes life rough. Why suffer? Call your local chiropractor today. This is a lot of information to digest, so I will present part two of this article next month. We will discuss shoulder problems that are often misdiagnosed by failure to address the associated neck issues, and how poor posture is likely contributing to your neck and shoulder pain. Until then, please watch the videos, and call your local Los Angeles, Beverly Hills, and West Hollywood chiropractic office for neck pain and shoulder pain relief. 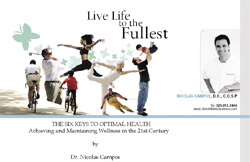 © 2004-11 Dr. Nick Campos. All Rights Reserved.